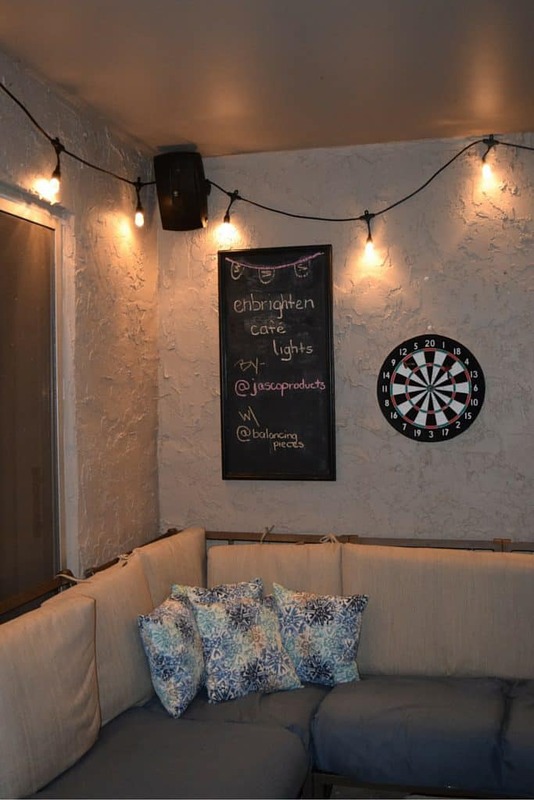 Our backyard patio is the perfect spot to just sit back and relax after a long day. My husband and I often sit out back after dinner and reflect on the day while our daughter swings about in her little pink swing. We are lucky enough to not have any neighbors behind us and a great breeze from the water adjacent to our home. Sometimes after our daughter goes to sleep, we will pour a drink and head back out. 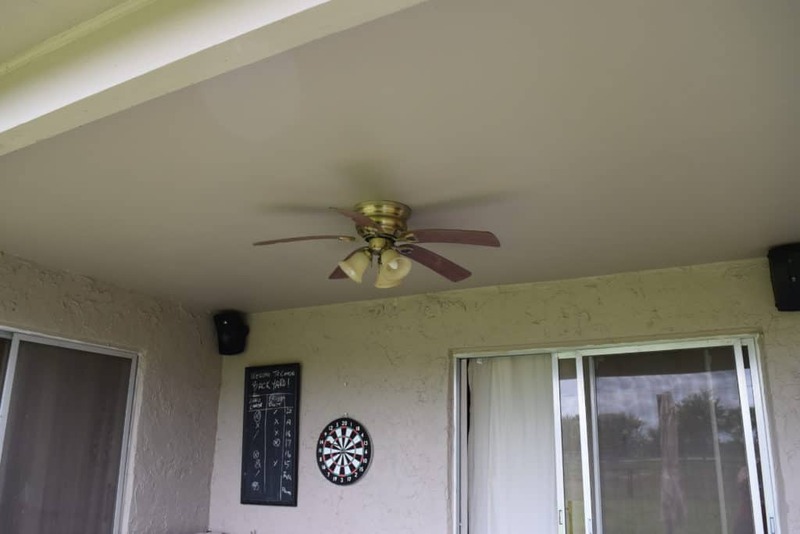 Unfortunately, all we had for lighting was the light off the paddle fan we have in the center of the patio. 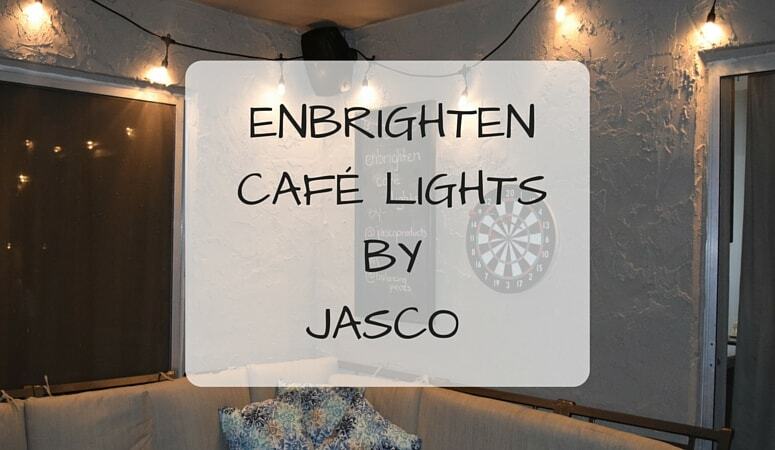 This was a mood killer, so we decided to give our backyard a little makeover with the Enbrighten Cafe Lights by Jasco. 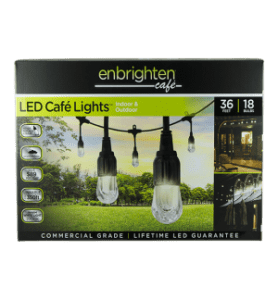 Enbrighten Cafe Lights by Jasco can enhance your evening party, birthday celebrations or backyard BBQ. 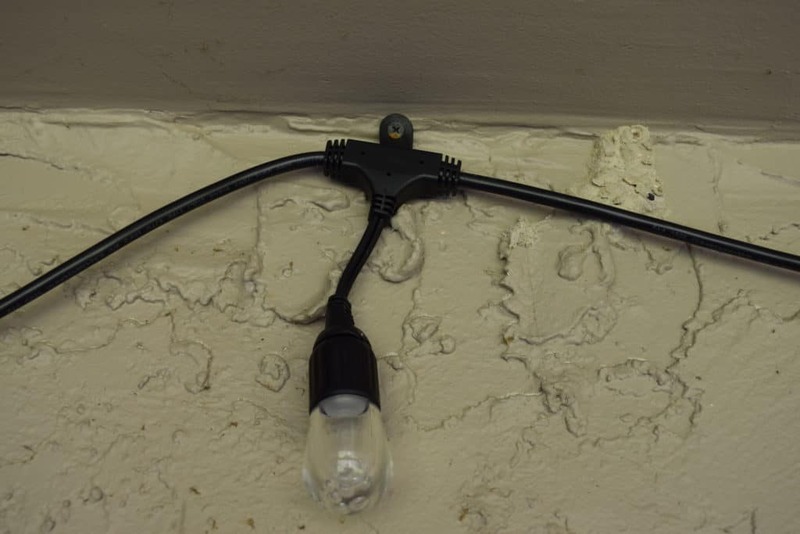 Cafe Lights are new to the market. 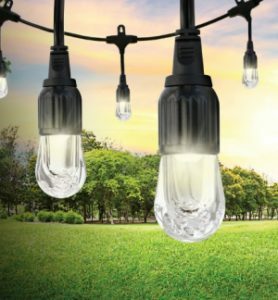 They come in a variety of size, LED, energy efficient, never have to replace. 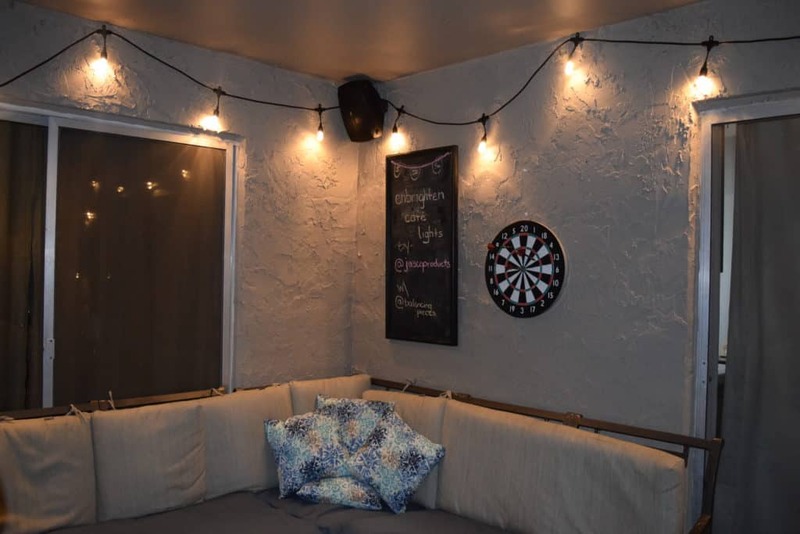 Our backyard makeover was easily done with these perfect outdoor lights that are impact resistance & weather proof. 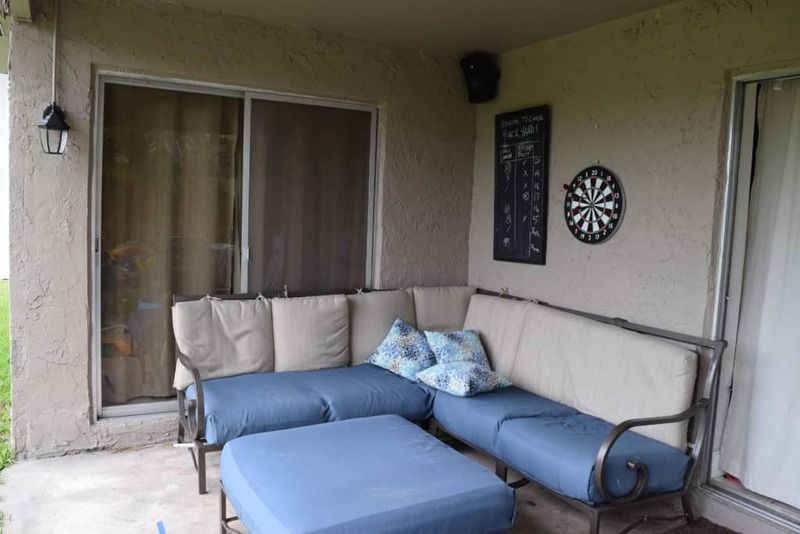 I don’t have to worry about their ability to stand up to the South Florida weather because they are built to last year round continuance outdoor use. 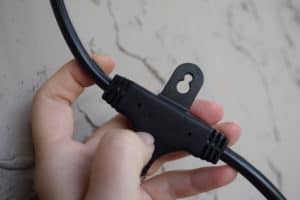 No bulbs to replace – EVER! The steps could not have been easier. 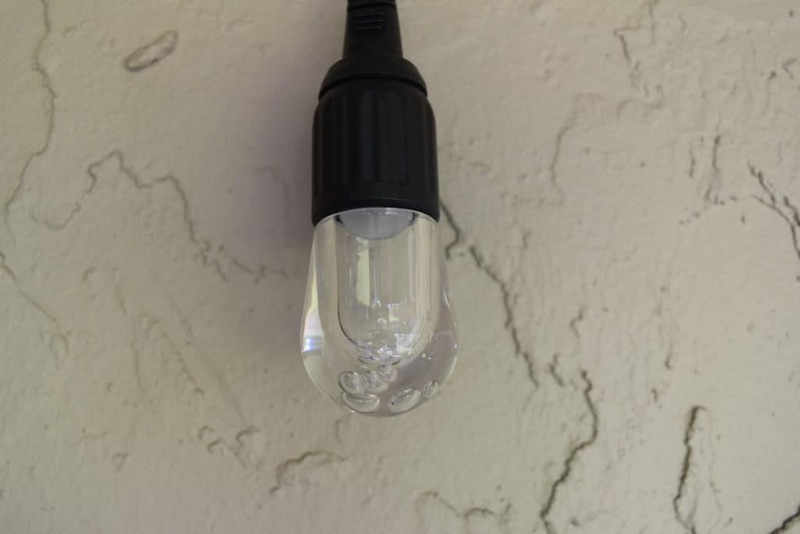 Each light has a these prefab keyholes that allow you to quickly hang each light accordingly. 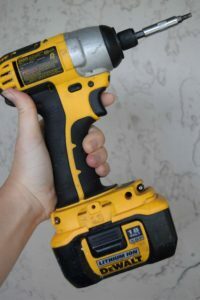 My husband loves any opportunity to take out his drill, so after grabbing that and a few screws we anchors we got to work. I decided that I wanted to have the dangled across look instead of straight across tight lined. BUT because they have these awesome keyholes I can pop them off and create the streamline look easily and quickly.